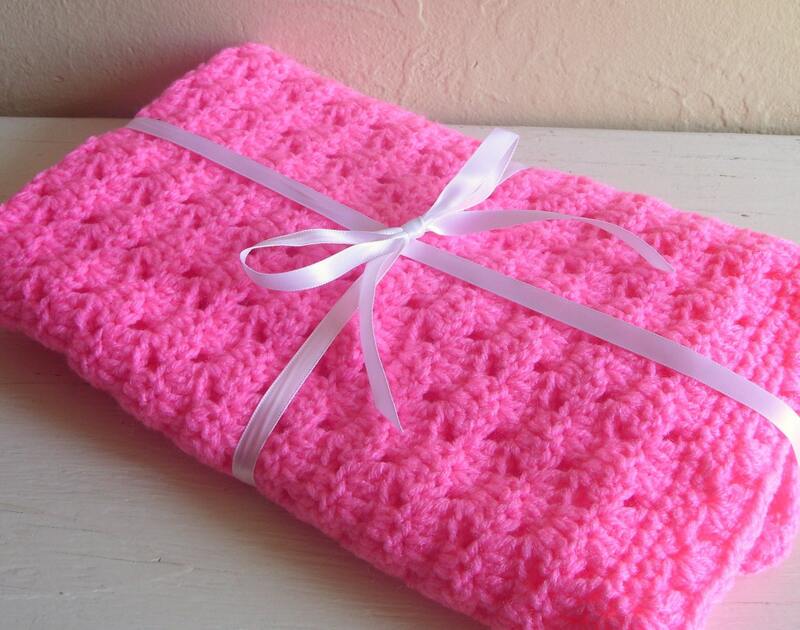 Hand crochet this pretty and pink blanket is perfect for that special doll. The design is called a twin stitch and comes tied with a white ribbon. Great for any age this blanket is machine washable and can be put in the dryer. For best results I would suggest laying it flat to dry. Measures 18 x 23.5. THE RIBBON IS FOR DISPLAY ONLY, NOT INTENTED FOR CHILDREN. Adorable holder for scissors, well made, quick shipping. Fast shipping, packed nice. thank you! Pretty shoelaces, shipped and received right away. Exactly the colors I needed for my thread earrings. Thank you! Exchanges allowed if there is a problem with the item. Buyer pays shipping costs. Refunds only if the item is misrepresented. I usually ship via U.S. Postal Service and the shipping option will vary depending on the item. Small, light items are typically First Class, but may have a Priority upgrade option. Larger, heavier items will be shipped parcel post unless specified otherwise in the item description or if the amount paid is less than upgrading. *I do ship internationally. Contact me with the location and item(s) and I will get a price to ship there.